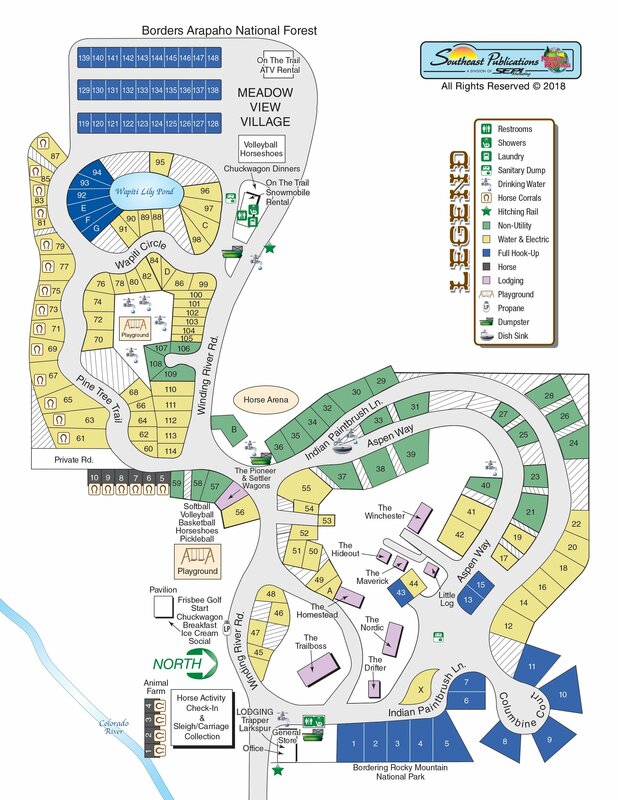 Get away from it all and enjoy one of our spacious RV or tent sites or one of our extremely popular camper cabins. Guest horse camp sites with corrals are available for direct riding access into Rocky Mountain National Park or Arapaho National Forest. Guests return often to relax in our peaceful and unique setting. Camping facilities include: Showers, restrooms, and laundry. Our Camp Store carries an array of camping and fishing supplies plus some groceries. And don't miss our Gift Shop with a selection of western gifts and cowboy collectibles. "We just stayed for 3 nights at this wonderful campsite. Our site was spacious, the landscape was breathtaking. The staff was more than friendly; it seemed no one was working, they all just enjoyed being there to ensure we had a wonderful time! The haystack ride with Gary and Amanda was lovely for the kids, John and his crew at the horse rides were incredible. The ice cream social at night, the pancake breakfast, all great! Go and you will never want to leave." --Sylvia D.
*Additional guests $5.00 per person/per night, children 4 & younger free. *Minimum three night stay in all camping and camper cabins over the July 4th and Labor Day holidays.